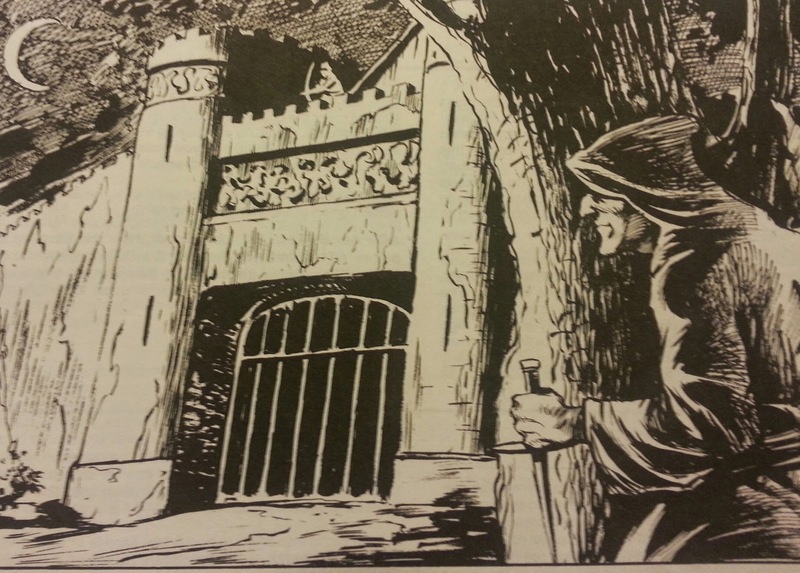 Len has a few different apocryphal Lendore 'products' over at Dragonsfoot. Honestly, IMO they are not up to the standards of L1 or L2, but the lendore campaign enthusiast or Lakofka fan will surely find them interesting. Deep Dwarven Delve has issues. WotC lost the final draft that Len Lakofka submitted and they had someone else rewrite about 20% of the adventure without telling him. 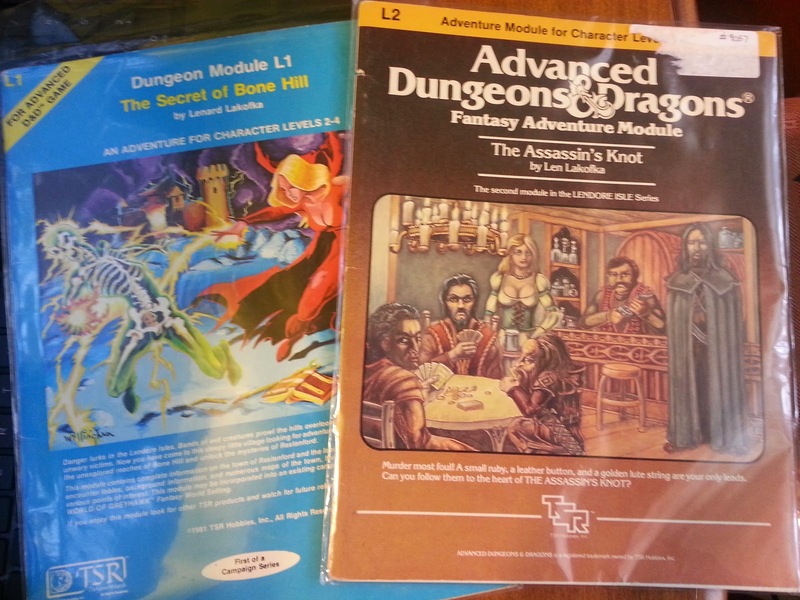 Rich: I forgot about the Kroten campaign, thanks for the DF links! Armitage: That's disconcerting. Were they glaring story inconsistencies or just crunchy bits? No problem, I still have a habit of collecting and bookmarking somewhat trivial gh related stuff online. I did want to clarify that my comment about the L4 and L5 stuff not being up to par with the earlier stuff is not really about the quality of the material, but more about the production values. Due in part to the material being free, the layout, art and maps are obviously "fan made". 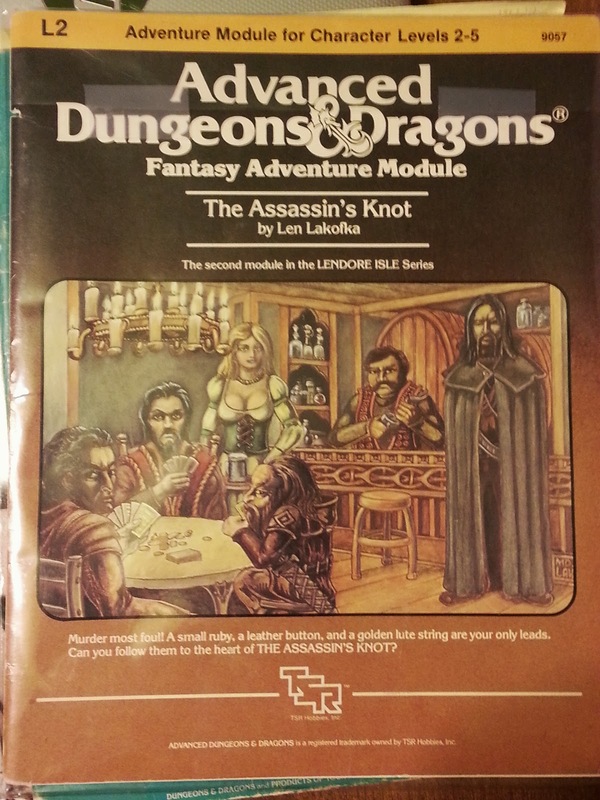 Which isn't really a bad thing, but L1 is one of my all time favorite AD&D modules, and I admittedly held the expansion material to a high standard. L2 and L3 are pretty good, even given the factors Armitage mentioned. L4 and L5 explore a wealth of lore about the Lendore Isles too, they just don't have that professional polish TSR put on the 'official' modules. Oh, and to be a little snarky, ANY alternative to the craptastic Evermeet/Grey Havens rip off "canon" material on the Spindrifts is a good thing. The fate of the Spindrifts is one of my personal most hated bits of latter day GH lore. Thanks for the clarification Rich. And yeah I'm not a big fan of the canon Spindrifts either. I'm still currently running a baseline 576-577 Sea Princes campaign and I want all my south seas islands in vintage condition (pre-wars). If your players venture to Restenford and want to explore the rest of the island, the L4 and L5 stuff is a good source of ideas for fleshing out the realm. Mike Bridges: he didn't specify in the interview. he just said that WotC lost his rewrite and the published adventure is about 80% the original manuscript that he wrote in 1979. My only problem with the Kroten campaign is that it seems like about 90% of the town is retired adventurers. As I recall, there's a pig farmer who's a 3rd or 4th level Fighter and the town potter is a 5th or 6th level Magic-User, for example. 0-level humans are outnumbered by characters with class levels. It really should be the other way around. FYI I got copy of Demonweb today! In great shape! Uh-oh, now that Timothy has you hooked on his product, he wants to become your regular supplier! At least for a while, you could get Deep Dwarven Delve on the WOTC website; it may not still be up.